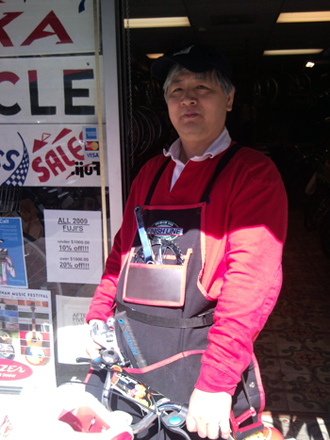 Trade in your bike at Sekka. You spoke and we listened! Maybe it's a bike you've outgrown. Maybe it's a bike you thought you would like but really didn't. Maybe you just want something different. Trade in that old bike for something new! Here's what we do. Your bike will be assessed by us. We determine a fair selling price, and subtract whatever parts or repairs are needed. What remains we split with you. Could you get more for your bike by selling it outright? Absolutely. But trading it in is more convenient. No posting ads. No answering email questions, and no strangers coming to your house. Here is the fine print. It has to be a bike that came from a bike shop(any bike shop, not just ours) and it has to be something we think we can sell. We reserve the right to (politely) decline and bike. Sound good? The first step is to bring in your bike. Your new ride awaits.